Twelve-year-old Rapunzel lives with her mother Gothel in a walled villa. Life should be perfect for Rapunzel, for Gothel is a rich and powerful witch, rules the surrounding land, and provides Rapunzel with a carefree existence. Yet Rapunzel has dreams that puzzle her, and she feels that if she could only look over the wall of the villa, everything would make sense. The only drawback is that Gothel keeps Rapunzel from ever leaving the villa and guards it with vigilant sentries and high walls. Despite being forbidden to leave, however, one day Rapunzel secretly scales the walls and enters the outside world – only to find the people starving and in rags under Gothel’s oppressive rule. On top of this, Rapunzel discovers Gothel is not her mother when she encounters her real mother and finds the answer to her strange dreams of another life. Events deteriorate from here for the young heroine, though, for the guards catch her outside the villa, and when Rapunzel confronts Gothel with the truth, Gothel banishes her to a distant forest. After Gothel imprisons her in a tree-tower, Rapunzel is dead set on rescuing her true mother and wreaking revenge on Gothel. And notwithstanding being stuck in a tall tree, Rapunzel lays her plans, preparing for her escape and revenge. 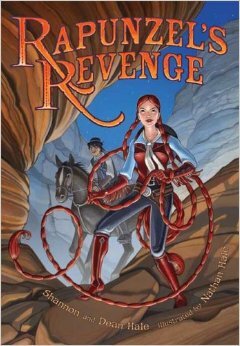 Though its premise may sound much like its namesake fairytale, in Rapunzel’s Revenge husband and wife Dean and Shannon Hale creatively twist a well-known fairytale into a lasso-twirling, Wild West, magical story. Not to mention a graphic novel. With the help of artist Nathan Hale (not a relation of the authors), the Hales craft a colorful and entertaining novel. The characters are quirky and memorable, and the authors change (and Westernize) them enough to keep them from becoming cliché. Although the nominal theme of the book is revenge, the authors spend very little time on the theme, and they primarily treat Rapunzel’s plan of vengeance light-heartedly. In fact, other themes – like friendship and helping those in need – stand out more and receive a greater focus than revenge. 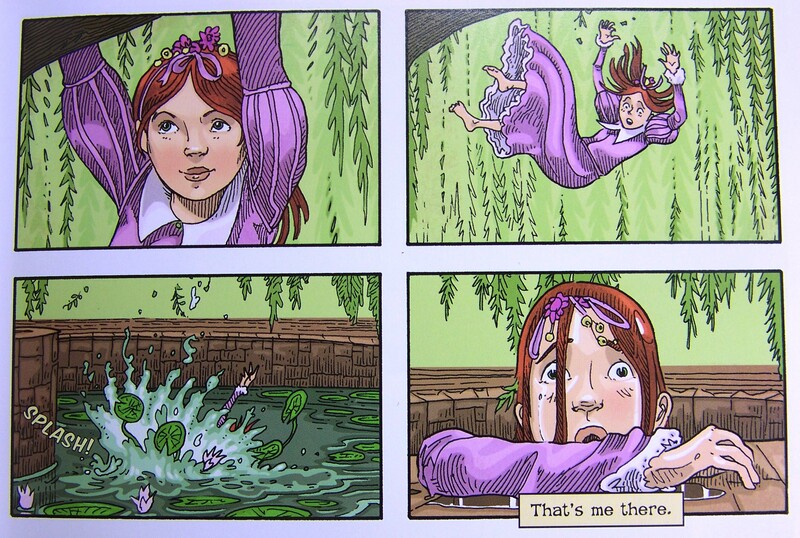 Rapunzel’s Revenge by Dean, Shannon, and Nathan Hale is a comical graphic novel, and the authors’ execution of both its art and story is excellent. Best of all, it’s filled to the brim with fun and good humor.